The team at Press Pass LA is stoked about OUT Web Fest! For the first time ever, in the history of Hollywood, OUT Web Fest is providing LGBTQ actors, directors and producers with an equal opportunity to connect and celebrate the evolution of queer-centric entertainment, and we cannot wait to bring you the inside scoop straight from the festival grounds. This one-day event is happening this Saturday, May 7, and is packed full of screenings, panels and all OUT celebrations of the incredible LGTBQ content creators who call Los Angeles home. More than 40 pieces of short-form digital content are set to screen. With categories including Lifestyle, Drama, Pushing the Envelope, Music Video, Documentary and Comedy, there will be no shortage of great films and videos to keep you entertained from dawn till dusk. Check out the full schedule and list of screenings here! In addition to screenings, festival goers can attend one-of-a-kind panel discussions throughout the day, including “How the Web Tells My Story,” featuring Tina Cesa Ward, Steve Harper, Bridget McManus, Julie Kalceff, Dalila Ali Rajah and Kevin Spirtas, along with “The Power of Digital Communities,” featuring Cyd Zeigler, Leon Wu, Marquita Thomas and Bridget McManus. The event kicks off at the American Film Institute Louis B. Mayer Library and concludes with an award ceremony and closing party at The Station in the W Hotel. Our team is excited to support these game-changing creatives in entertainment, and now you can join us for the fun! 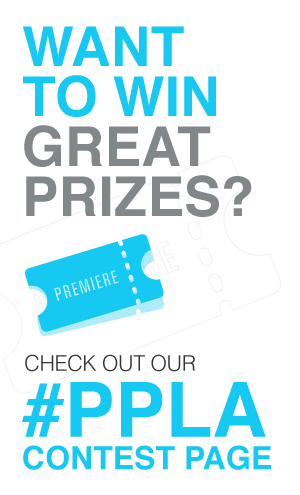 Press Pass LA is excited to be giving away free admission to the festival for two lucky winners! Two winners will be selected and announced on Twitter Friday at 4pm PST. Also, you can still purchase your tickets here! The word is OUT! Don’t miss your chance to experience the first ever event of its kind. It’s why we love living in LA and reporting on all things entertainment this city has to offer! For more information, you can visit www.outwebfest.com. You must be 21 years or older to attend.